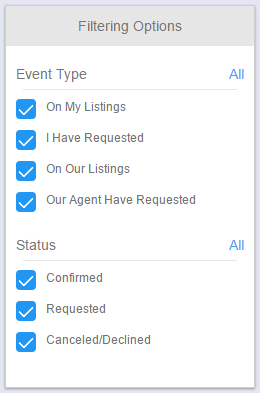 On the left side of the screen, you can click Showings and the first option to see your Appointment Calendar. 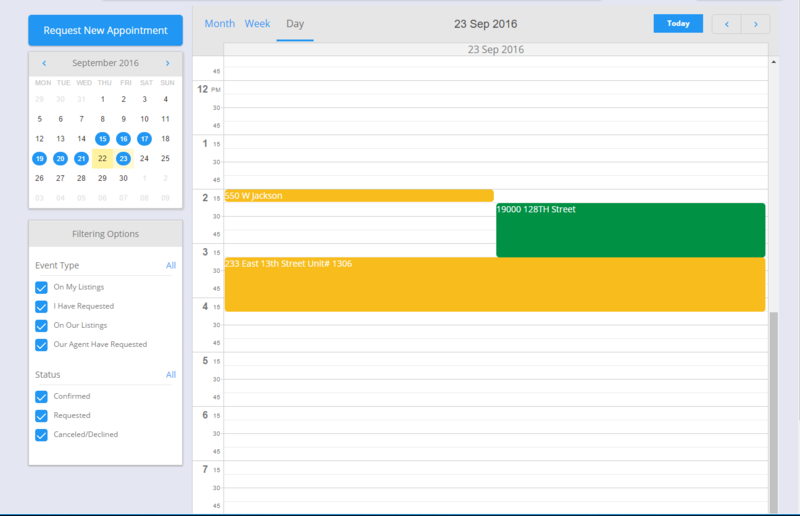 It will default to the show the Month view but is changeable to show the week or day view. 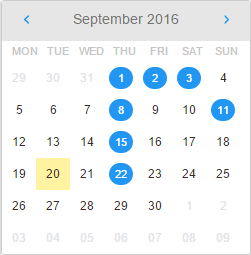 In the small calendar, you will see the selected day highlighted in yellow. 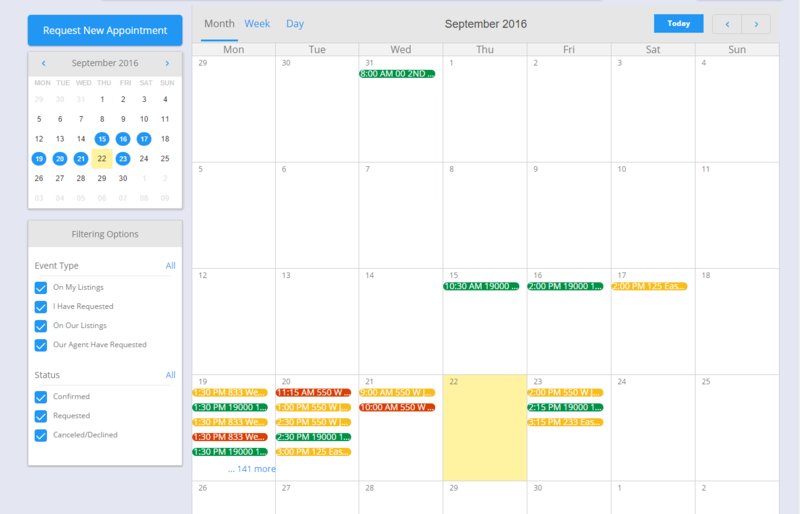 Dates with the Blue Circles indicate that one or more appointments are scheduled. 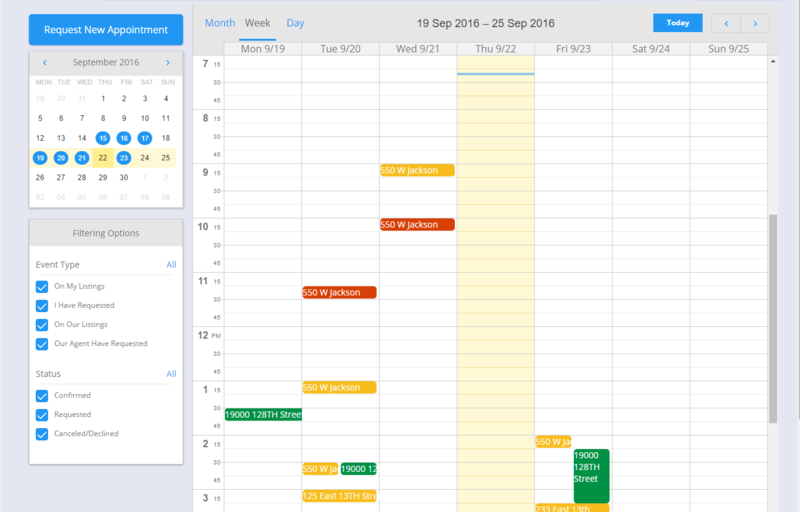 The full appointment detail page. 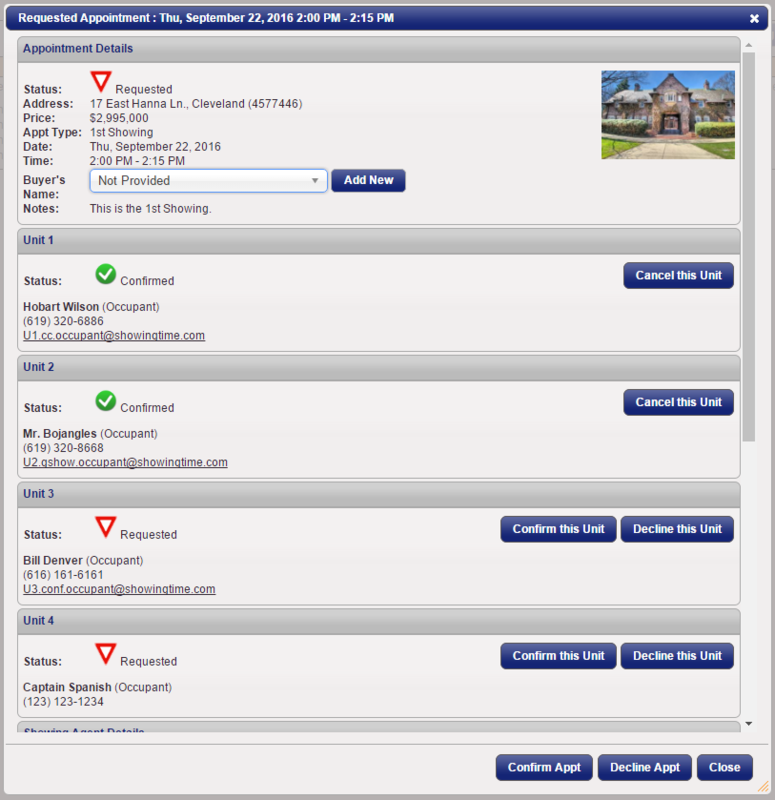 You will be able to see the status and are able to interact with the appointment. 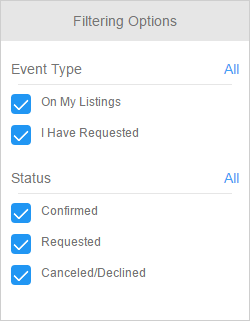 You can see the history, confirm, cancel, or even add additional notes.